Wheat sneakers are always a killer. Drawing aesthetic and cultural cues from the street’s adoption of the wheat Timberland Boot, brands like Nike have used the color all over different programs from running to basketball to lifestyle. 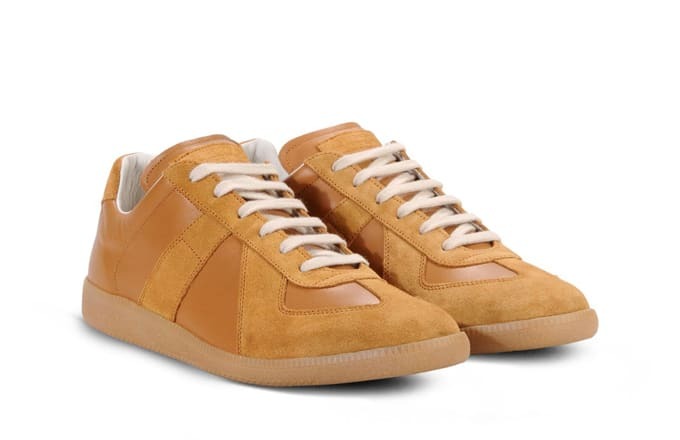 The color on suede has been a great way to bridge the gaps between athletic, workman, and lifestyle aesthetics and it seems fashion house Maison Martin Margiela is jumping on the train. 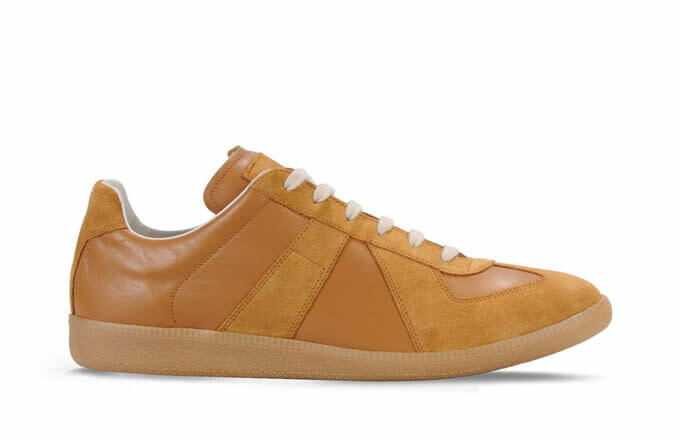 Just recently we broke down the differences, and similarities, between Margiela’s Replica sneaker and a pair of Vintage German BW Sport sneakers, proving Margiela’s streamlined inspiration. But now a new wheat colorway of those same Replica sneakers is updating the fashion house’s contextual designs to meet popular taste. 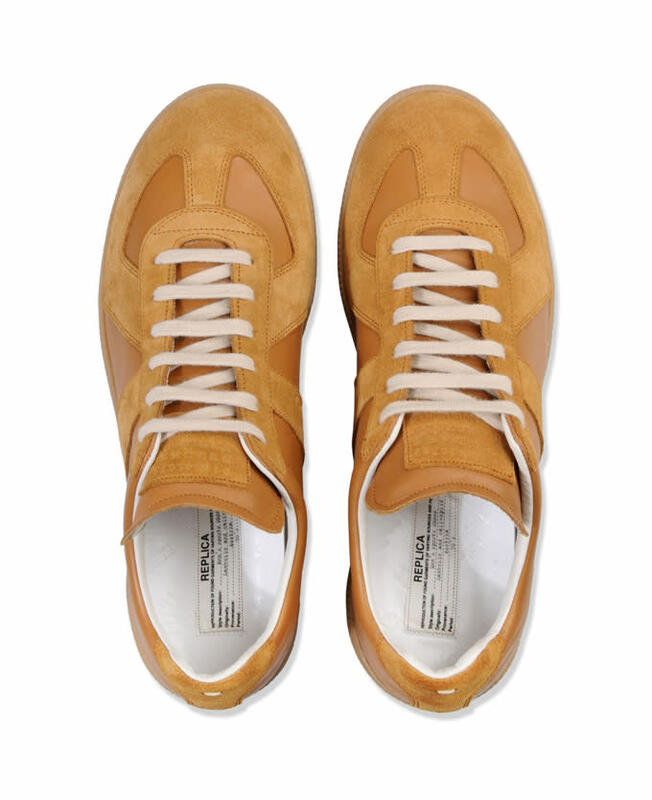 Maison Martin Margiela has made these wheat (they&apos;re calling them "brown") Replica sneakers available for $460.